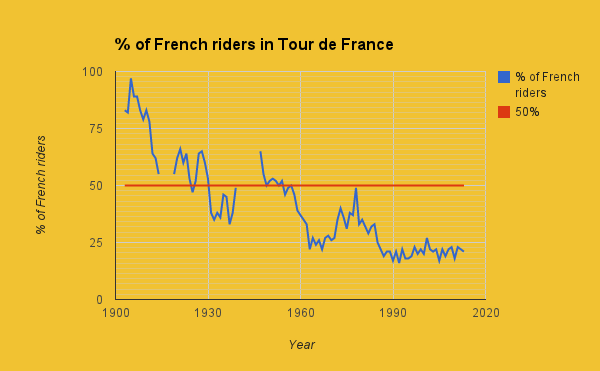 How International is the Tour de France? A Data Journalism project. Which countries have riders in this year’s Tour de France? 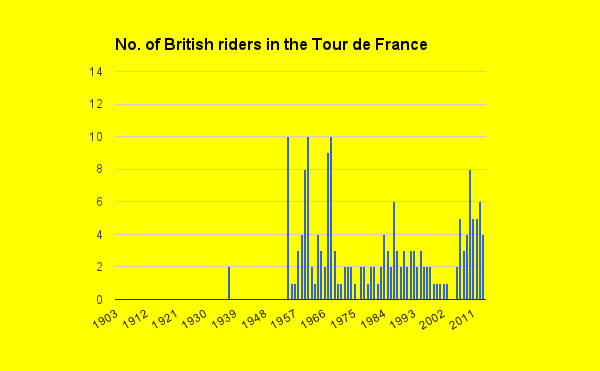 This is one of the first visualisations I’ve produced with the Tour de France data I’ve been working on. It shows very clearly how international the race is these days but there are still large swathes of the world which are not represented. I expect far more African riders (check out Team Africa Rising in Rwanda) to hit the Champs-Élysées in the very near future and that will be really exciting for cycling. And for my map…. The maps and charts I’ve produced so far have been very straightforward but I want to experiment with timelines in the next week or so. I’m also hoping to play around with Tableau Public which is now available for Mac. As I’ve written in a previous blog post, finding accurate Tour de France data was far more challenging and time-consuming than I thought so I’m a bit behind with this project. If you’d like to follow my progress – and see how international the Tour de France is – then you can follow my Tumblr blog or my Pinterest board. My most recent pins are in the sidebar. Is the peloton becoming more English-speaking? I need to produce a line chart showing Francophone countries and Anglophone countries taking part. 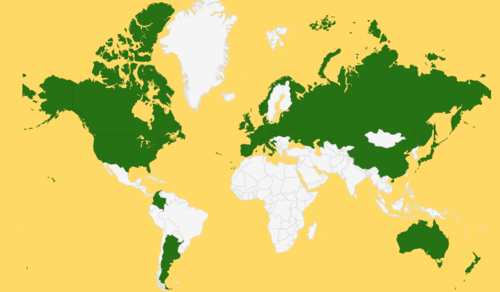 Europe dominates the Tour numerically. But how do the other continents compare? Which countries have most riders/capita? I’m pretty sure Luxembourg punches above its weight at the Tour! I’d like to produce a timeline or something similar to show which countries first entered the Tour in which year. For example, I was surprised to see that Japan had a rider in the Tour in 1926 – Kisso Kawamuro – long before Great Britain did. If you have any other ideas for questions I could try to answer with this data, please let me know. I’ve just noticed that when I save my Google map visualisations, the .png file shows no result for Great Britain as if there were no riders from GB. It’s fine in the actual Google spreadsheet chart. So I’ve had to take screenshots instead of uploading. Annoying. Anybody else had this problem? This entry was posted in Data Journalism on July 7, 2014 by LizHannaford.